Saturday, 11 November 2017, was a great day to visit Guildford's G Live concert venue. 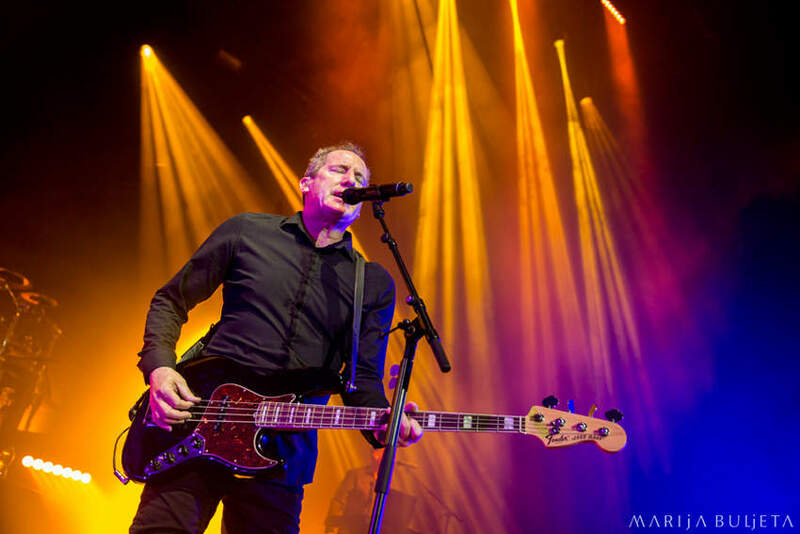 OMD paid a visit to the heart of Surrey to perform one of the best shows I've ever seen. The night started at 8pm with the supporting act Tiny Magnetic Pets. 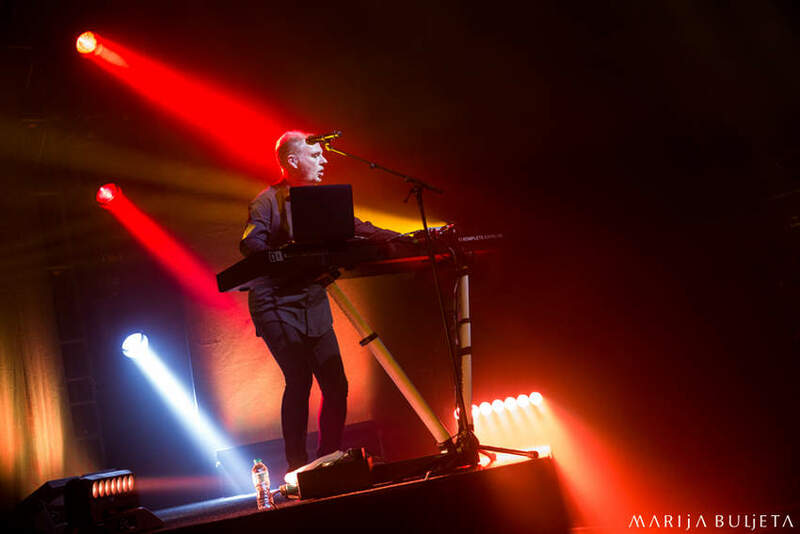 The trio warmed up the audience with synth pop/electropop vibrant and dancy numbers. Although I wasn't familiar with the band's opus, I quite enjoyed the show. The band put on a very spontaneous and appealing act, despite the fact they had no visual support apart from the basic light show. However, the singer Paula warmed up the atmosphere with glowing smiles and confident attitude. Her vocal performance was excellent and so were her dancing moves. The venue was fairly filled during their show and it was wonderful to see that the people welcomed them with such enthusiasm. I was still in the photo pit by the end of the third song, which made me focus more on the visual aspect. They played a short 30 minutes set and the song that caught my attention the most was the last one; an almost 10-minute long number called “Semaphore”. 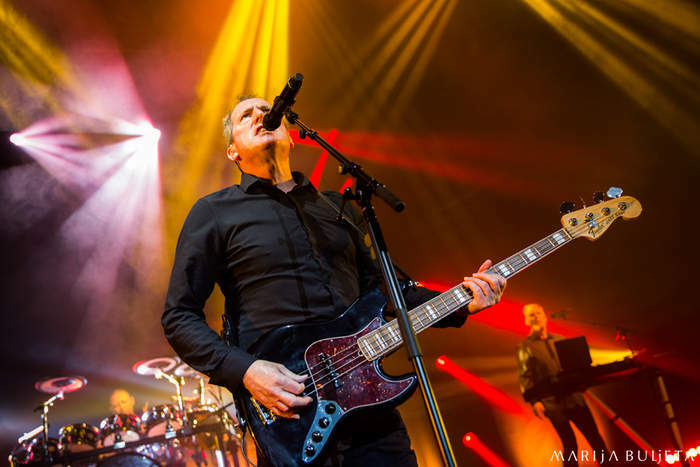 At 9pm OMD appeared on the stage. Their set list was taped on the floor, which gave me the opportunity to get a rough idea about the night ahead of us. I was rather impressed by the choice of the songs. 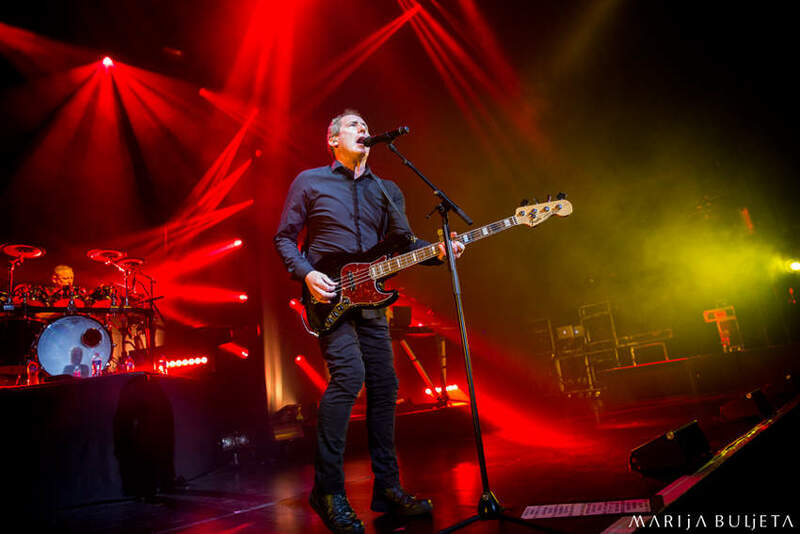 The stage was dim and the crowd was cheering as OMD members appeared before them. G-live was packed by then. The show was sold out, as expected. 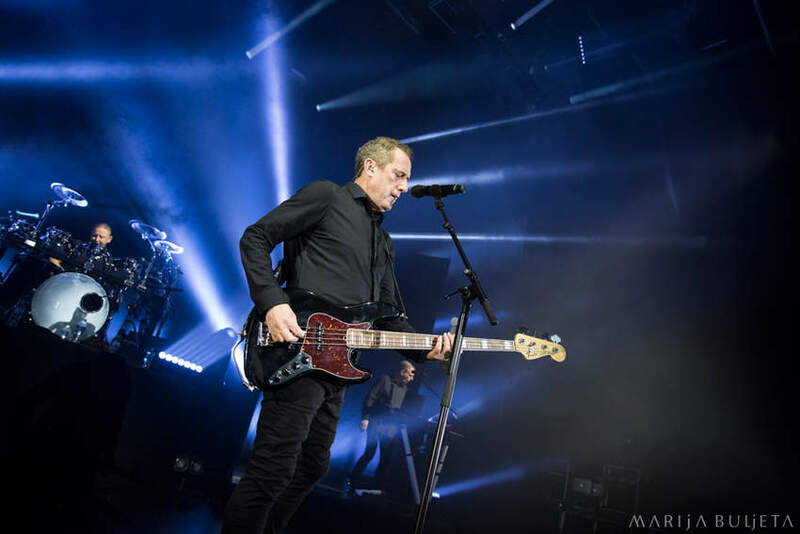 While Intro was playing, Andy McCluskey appeared on stage and took the standing still pose. The atmosphere immediately heated up to the boiling point. The first song they played was “Ghost Star” from The Punishment Of Luxury. The stage was coloured in blue and green, with occasional rays of bright light. It was a difficult task for a photographer. However, this play of light and dark fitted the atmospheric song perfectly. As soon as we could hear the first beats, Andy started to move, but it was just the beginning, far from climax. The next one was also from The Punishment Of Luxury: “Isotype”. 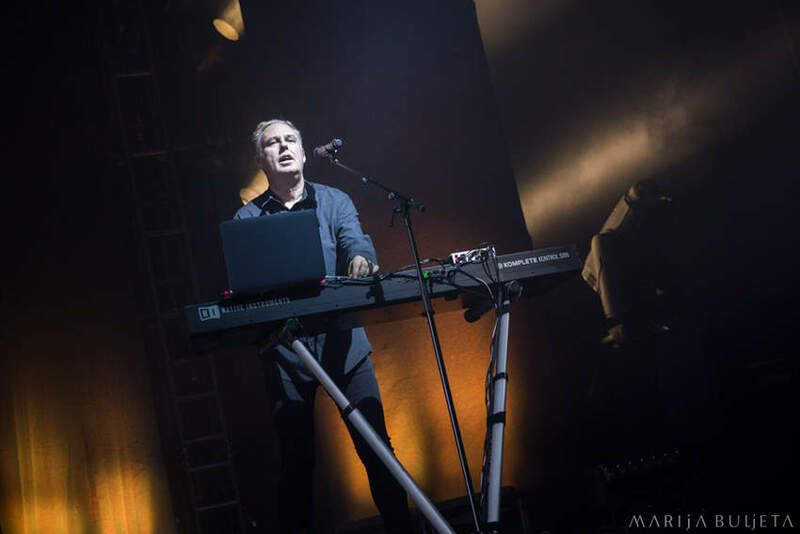 The dancy rhythm and breath-taking synth melody got everyone moving. However, Andy was probably the best dancer in the venue. His energetic performance and radiant energy reflected on each and every person present. I soon realised that I was seeing something extraordinary. The light show followed the idea of the each song and the full spectrum of bright and vivid colours was displayed on the stage. 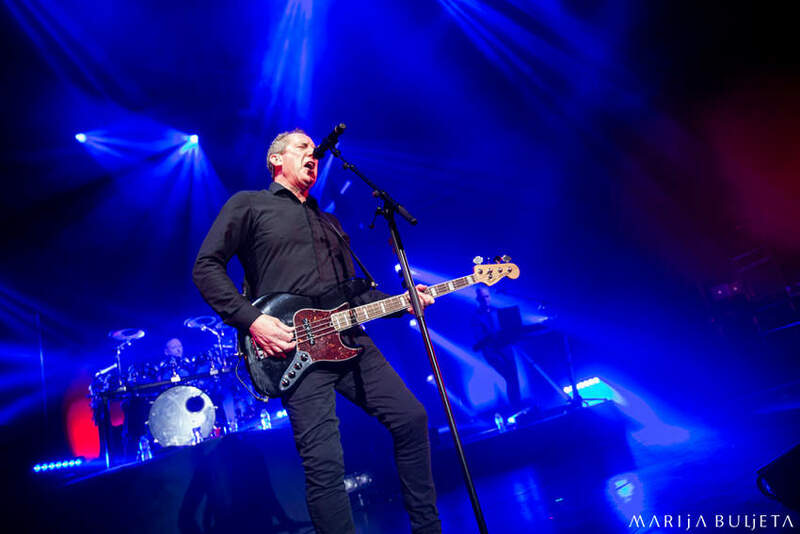 OMD performed as a 4-member band. 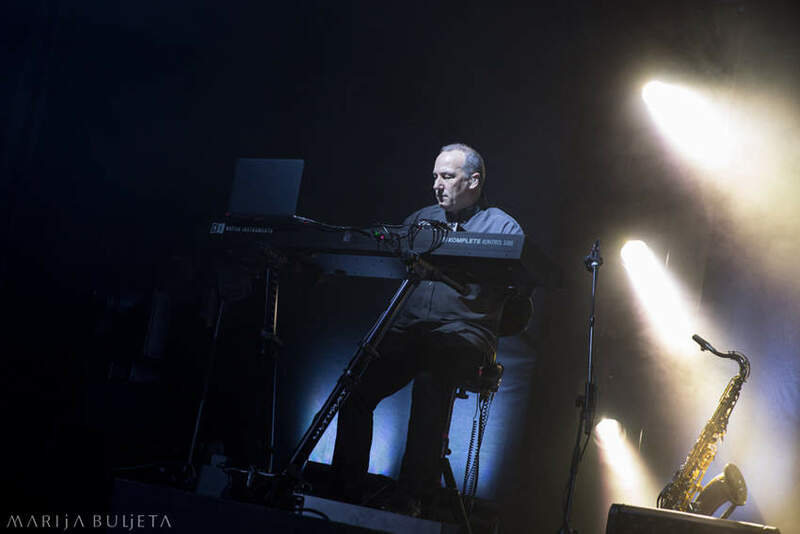 Andy was accompanied by Paul Humphreys on synths (of course), drummer Stuart Kershaw, and Martin Cooper as keyboard player and saxophonist. While I was still in the photo pit, Andy took his bass and I doubt the audience suspected the next song would be their 1980 hit “Messages”. The performance of their third released single swept me off my feet. I have no doubt that OMD was ahead of their time when the track was originally recorded. However, I still couldn't believe how relevant it sounded in the live version today. 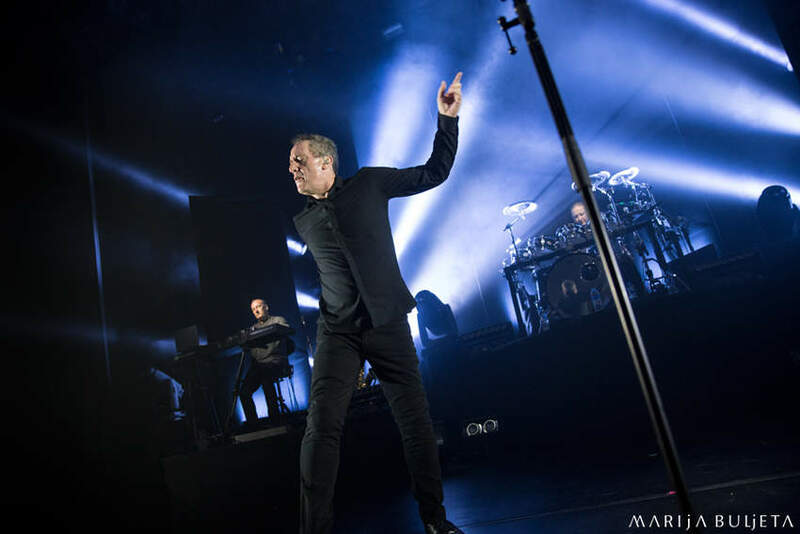 But, nevermind that: OMD clearly decided to turn tonight's concert into a competition: who would endure the dancing marathon, us or them?! The next song was “Tesla Girls”. It was obvious by now that together with the new material we would hear all their greatest hits. However, they needed to cheer us up with the new millennium tracks as well, so they did it by playing “History Of Modern”, which was released in 2010 on the album of the same title. 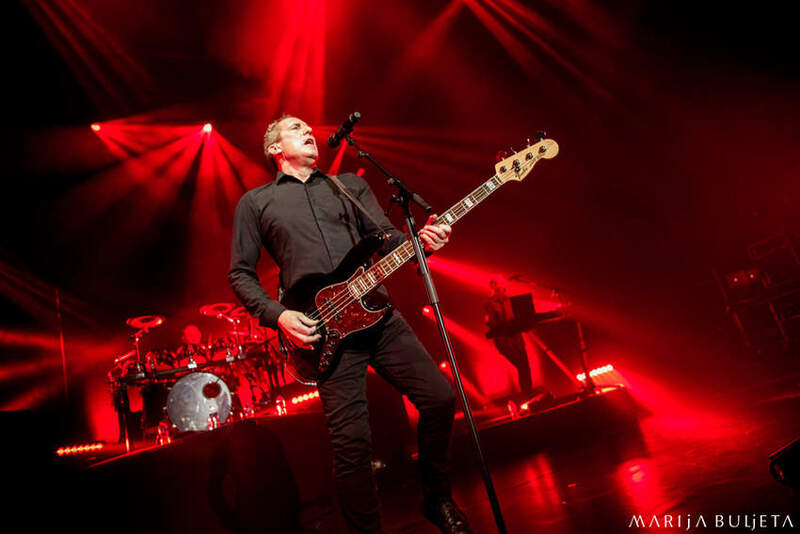 The next one was “One More Time”, from their latest album, and OMD kept the dazzling vibe with the cheerful songs, older and newer. The next number was chosen by the audience. If you came to the venue early enough, you had the opportunity to vote for the song which would be included in the set list and “She's Leaving” got the most votes. Although the night undoubtedly had many bright moments, my personal heart-melting moment was hearing “(Forever) Live And Die”. Andy kindly asked Paul to switch places on stage, since the song was written and sang by Paul. The performance was flawless and even the sax part sounded as brilliant as on the record. I noticed that many smart phones went up in the air, obstructing my view, but I absolutely understood why people wanted to capture this particular song on their phones. Paul remained on Andy's place during the next one as well because they played “Souvenir”. Again, a complete heart-melt. I thought I was about to cry, and yet I knew there was still more to come. After this heart-breaking performance, Andy replaced Paul again and with the first tones we could recognize “Joan Of Arc (Maid Of Orleans)”. The next surprise was “Time Zones” and “Of All The Things We've Made” during which all members lined up at the front of the stage looking almost like Kraftwerk. The drummer performed on the snare drum while Andy played the bass and Paul and Martin played what it seemed to me as hand held synths. After this relaxing moment Paul took over the microphone again to sing “What Have We Done”; another astounding piece from The Punishment Of Luxury. However, the band was ready to warm us up again with the all-time hits and “So In Love” followed. Andy was rather talkative and witty during the performance. There were moments when it was difficult to follow his moves; he was swiftly changing positions, running from one corner to another, promising no rest. “Locomotion” followed and it actually got the crowd even more ecstatic. I turned around a few times and noticed that there were 2000 people swinging and jumping in the rhythm. Finally, there came “The Punishment Of Luxury” and people were singing along and supporting Andy. However, it was “Sailing On The Seven Seas” that blew us all away. Around that time Andy made a funny remark that he hoped we were just warming up because, as he said, they intended to go on for the next 3 hours. And, indeed, no rest. “Enola Gay” was the last song. I can't describe the frenzied atmosphere. Even the people with seating places at the balcony stood up and danced. 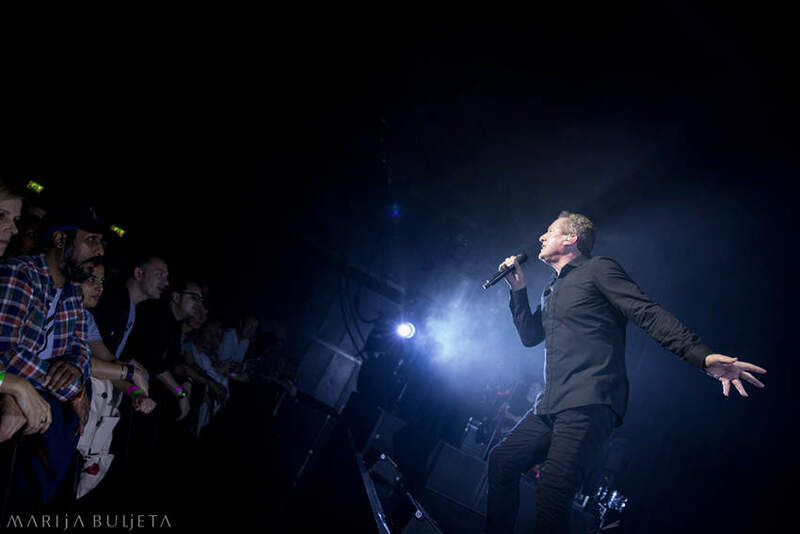 Andy apologized for being away from Guildford for so long and made the promise to return sooner; even he was amazed that 2000 people had their hands in the air for the entire show and that they showed no intention of leaving. 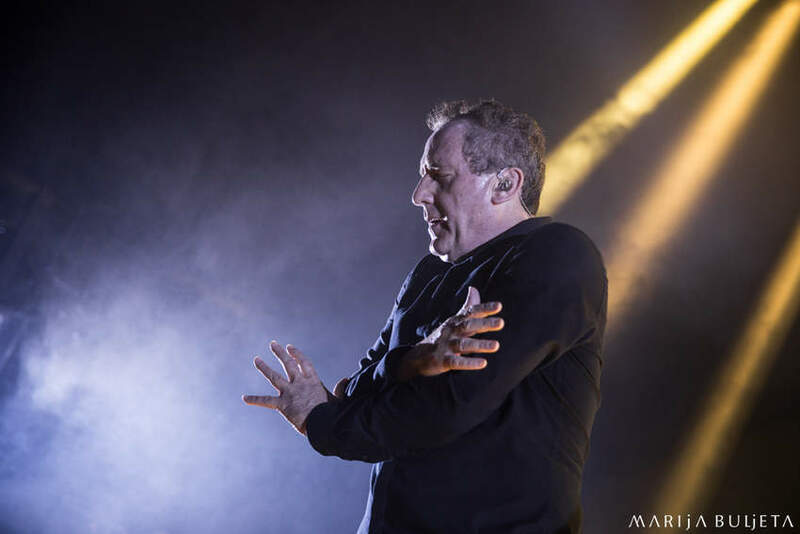 If OMD had really decided to play for the next 3 hours, I doubt anyone would have left sooner. However, the band called it a day after an hour and a half, but not for long. Of course, we knew they couldn't leave us so soon after suggesting a concert marathon. They returned to play three more songs. First on the encore list was “Walking On The Milky Way”. At times, the crowd sounded even louder than Andy who occasionally pointed the microphone at us to help him with the “hey hey” part. 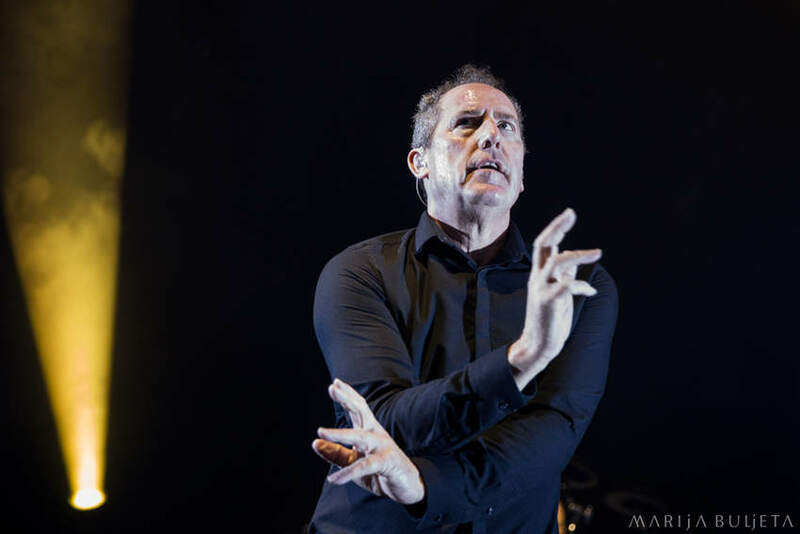 At that point we all felt like OMD members. Paul and Andy joined forces during the vocal performance of “Secret”; the second song they chose for the encore. Andy again stepped in with his witty comments just before they played the very last track. He explained that they left the fastest and oldest for goodbye. It was, of course, “Electricity”, the OMD debut single from 1979. It was a dream ending of such an outstanding performance, the amazing set list and absolutely stunning atmosphere that the band shared with the fans. 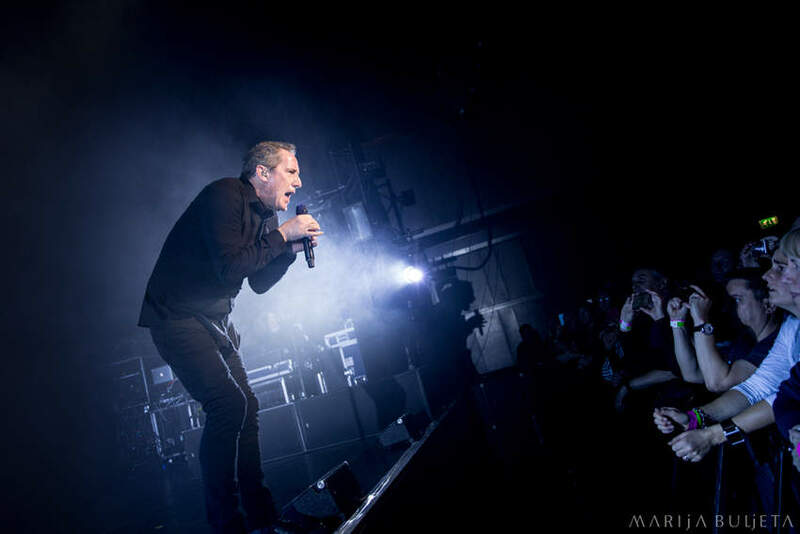 Hardly anyone would forget this night, and OMD simply must keep their promise and return to Guildford ASAP!